Sharing my favorite new products from this year’s Expo West with you in today’s blog post! Earlier this month, I was in California for 2018’s Expo West. Most of you are probably wondering what the beep Expo West is, why I go, what is there, etc. I had no idea what Expo West was until I started working on the food + beverage space a few years ago (before I was fired..). Expo West is a trade show that takes place at the Anaheim Convention Center every March. I like to describe it as “Disney World” for organic food + beverages and Costco on steroids in terms of the sample scene. Imagine almost all the products you love and buy at your local organic grocery store in one place, sampling the latest and greatest innovations they have been planning for months. Expo West is a time of year when many brands debut new products, any rebranding in the works or any other “epic” news they have to share with the world. The attendees of Expo West vary from distributors to investors to various press/bloggers. Then there are of course foodies who thrive off trying samples and getting all the food (hi Mom + Dad). Last year was my first time attending Expo West and it was 100x larger than I imagined. It is impossible to see and taste everything within a day, which is why it is usually for 3-4 days long. This year we went on Thursday + Friday. 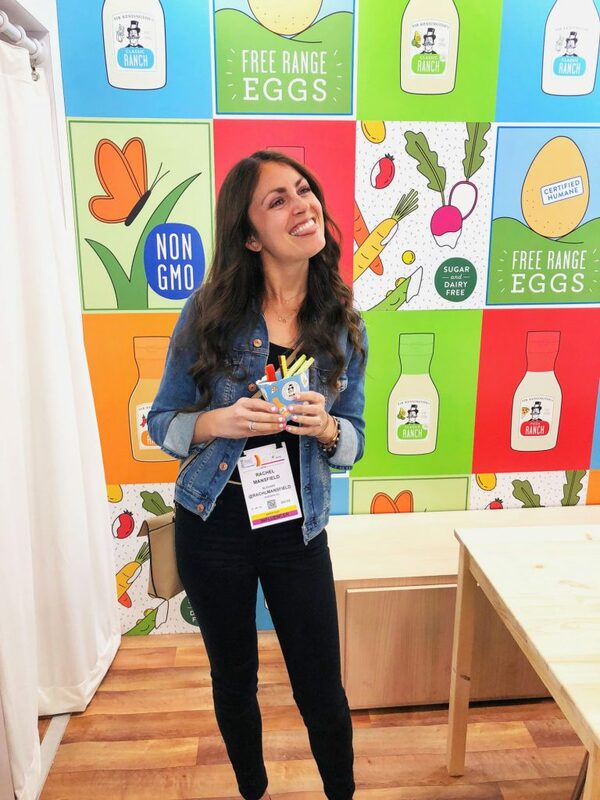 I was really excited about Thursday because it was the Hot New Products Expo, so I was able to learn about many new and smaller brands emerging in the space as well as connect and taste some new products from my favorite brands. The next day, we tackled the main building and successfully saw pretty much everything and everyone we wanted to see in 8 hours (19,000 steps later..). Many of the brands also host various happy hours or dinners and activities for people to connect, hang and enjoy their time in California. There is no shortage of food to try, people to talk to and brands to meet. It is the most exhausting yet exhilarating couple of days. You carry around a large bag overflowing with samples from brands (aka a workout for your arms). I love that I get to see many of the people I talk to daily from the brand side in person and connect with them, give hugs and chat about what is new and up and coming. This year’s Expo West exceeded last year’s by a far. I was so incredibly impressed with the energy in the air and the new products from so many brands. There are always a few themes that I notice between shows. Last year there were tons of protein powders and bars. Those are definitely still very popular, but this year I was seeing a lot of jerky and meat sticks, non-dairy alternatives and many fresh looks for brands in the works. I didn’t plan on doing a round up of my favorite products from Expo this year, but so many of you seemed genuinely interested in what I loved from the show. I likely could have listed 100 different things, but I have rounded up my favorite 10 new products from this year. Most of the brand’s shouldn’t come as a surprise, since you know I am passionate about the brands I work with. None of them know I am including them in this round up and it is by no means sponsored! I am so grateful to be collaborating or have partnered with brands like these who continue to innovate and impress me everyday. The health + wellness space is ever-growing. No one gets comfortable and it is amazing to see all the new products in the works. Honestly I am drooling just thinking about these cookies. I am usually not a fan of prepackaged cookies. They are too hard and stale tasting. Then I tried Simple Mill’s new Soft-Baked Cookies and OMG! They are unreal. I ate 3 cookies when I first tried and had to have the most self control to not eat the whole box. They are made with simple and healthy ingredients like all their products. They come in Snickerdoodles (my favorite), Peanut Butter (second favorite) and Dark Chocolate Toasted Coconut (so good) and the Chocolate Chip (didn’t try but imaging a chew chips ahoy). When I went to a dinner with Simple Mills after Expo, we had the cookies with vegan ice cream and I was licking the plate clean. Granted I had to unbutton my pants after but #worthit. These are expected to launch in June 2018 in Whole Foods. You guys know my love for REBBL is insane. I was shocked when I saw they made me my own new flavor, BANANA NUT PROTEIN! (I am kidding). REBBL launched three new flavors at Expo: 3 Roots Mango Spice, Schizandra Berries & Cream and Banana Nut Protein. I like to pretend the banana one is made for me since it tastes like straight up banana bread. It was amazing. These are expected to launch in July 2018. My beloved brekki. The ready-to-eat overnight oats is still a very new brand in the space. They have had some really exciting growth over the past few months and are launching a new look in a few months! Brekki is a game changer for a non-dairy alternative and uses ingredients like rolled oats, almond milk and chia seeds to make an easy and convenient breakfast option for consumers. They have some exciting retail partners in the works, but for now they are in Whole Foods SoCal and they ship nationwide! My code RACHL will get you 10% + free shipping if you order on their website. My obsession over these bars is actually insane. Fun fact: I have been eating Perfect Bars for about 5 years now. Before I even started to my blog. I thought it was so weird they were in the fridge, but then I tasted the Peanut Butter flavor and I was hooked. There isn’t a flavor I won’t devour. Perfect Bar launched their Walnut Brownie (vegan) in February and shared that it will now be a permanent flavor and in retailers soon. They also launched another new flavor, Mocha Chip, which my Mom is patiently counting down for. These are expected to launch in Whole Foods + Sprouts nationwide in April 2018. 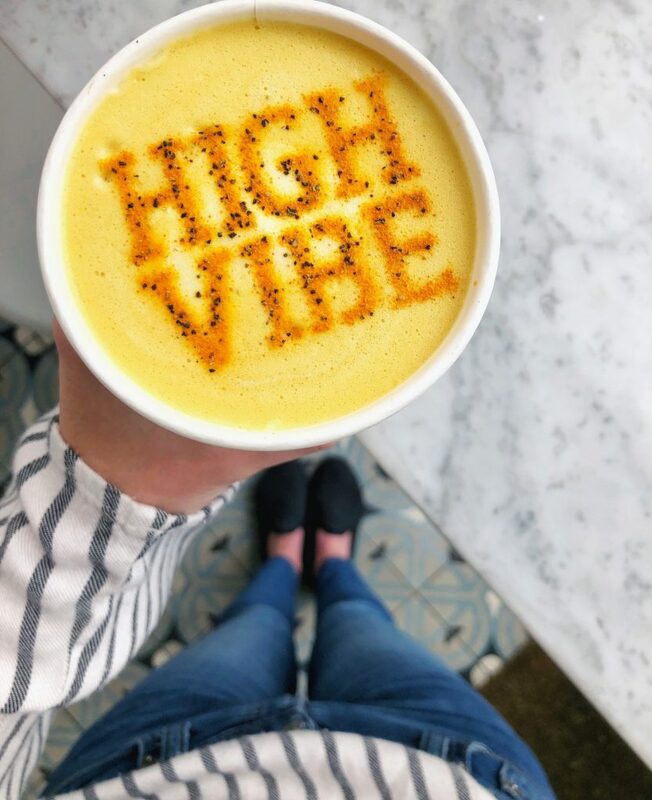 You guys know my sweet tooth craving is a little insane, so when I saw that ZUPA NOMA is coming out with these new veggie shots, I was so excited. An easy and tasty way for me to get extra nutrients in, and you can chug it like you would any shot. They have three flavors: Carrot Ginger Turmeric, Tomato Vinegar Habanero and Kale Cucumber Jalapeño. The Carrot Ginger is my favorite so far (I love anything ginger). These are now sold on their website and they ship nationwide. My code RACHL gets you 15% off too! When Sir Kensington’s first told me about their ranch dressing flavors, I thought it was a joke. They sounded so epic and flavorful and almost too good to be true. Then I tried them the week before Expo (and made that Buffalo Mac & Cheese) and seeing everyone sample the cutest veggies and dip at their booth, was so amazing to see. They worked so hard to create four delicious gluten, dairy and SUGAR-free flavors: Pizza Ranch, Buffalo Ranch, Classic Ranch and Avocado Ranch. These are expected to launch in April 2018. Raise your hand if you despite taking the shell off of hard boiled eggs!! (me me me!). Literally I refuse to make egg salad because taking the shell off is misery. It sounds simple and easy but I guarantee a few of you agree too. Vital Farms is making hard boiled eggs from their pasture-raised farms! I love the simplicity of this new product and now I will be incorporating lots more hard boiled eggs in my life. These are currently launching, keep an eye out in your stores! I love bars and I’m not afraid to tell the world. Bars are my go-to snack always. I keep them in my bag. They are easy and fast food and they satisfy me. I am very particular with my bar selection though and ALOHA’s new and improved bars are insane. They are low in sugar (around 4 grams per bar) and come in four different flavors: Peanut Butter Chocolate Chip, Chocolate Fudge Brownie (eating it as I type this), Chocolate Mint and Vanilla Almond Crunch. They are also very different than their current bars and I cannot wait for them to be out. I also love their protein powder, which did not change but is delicious and it is stevia-free (code RACHL for 20% off). These are expected to launch in June 2018. My favorite brand behind the manuka honey I use, announced their gorgeous new rebrand as well as some new products. They are coming out with some awesome new skincare products, an apple cider vinegar drink that is made with organic apples from New Zealand and I cannot wait. Their products include: Manuka Honey Drops, Manuka Honey Plus Shots, Squeeze bottle, Skincare and Honey Pops. I am beyond impressed with Wedderspoon. They are such a magical brand that is creating quality products with quality manuka honey and really helping consumers understand the benefits of this superfood. These are set to launch this spring + summer. My besties at Siete have been hiding something from us. They told me the night before expo about these new chips and tortillas and I was going crazy! They have two new tortilla flavors: Cashew Flour + Chickpea Flour. Siete also has new chips flavors: Fuego, Ranch, Sal y limon, Nacho and No Salt Added. Think cool ranch and nacho cheese doritos for the nacho and ranch chips. They are epic! Plus the no salt added is amazing and so so exciting!! In the meantime, you can still grab their original tortillas and chips. The chips are set to launch in June and tortillas in July. I could probably keep going on and on but these are my top 10 favorite new products from the expo this year. A couple others I do want to highlight though are Soozy’s Muffins, RXBAR’s new nut butter line. They were DELISH. I cannot wait for Expo East in September (but I bet my Mom is more excited). Did any of you guys go to Expo?! What were your favorites?